The incredible zebra print kitchen. Arley Cabinet company are renowned for manufacturing bespoke kitchens, from sleek state of the art contemporary kitchens to traditional rustic kitchens evoking a sense of yesteryear. 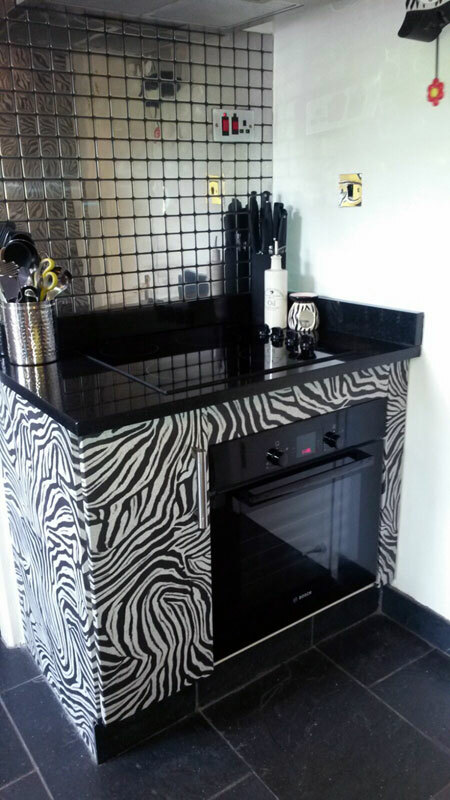 Sometimes we receive some more unusual requests – such as this zebra themed kitchen located in Bolton. The incredible zerba print kitchen! 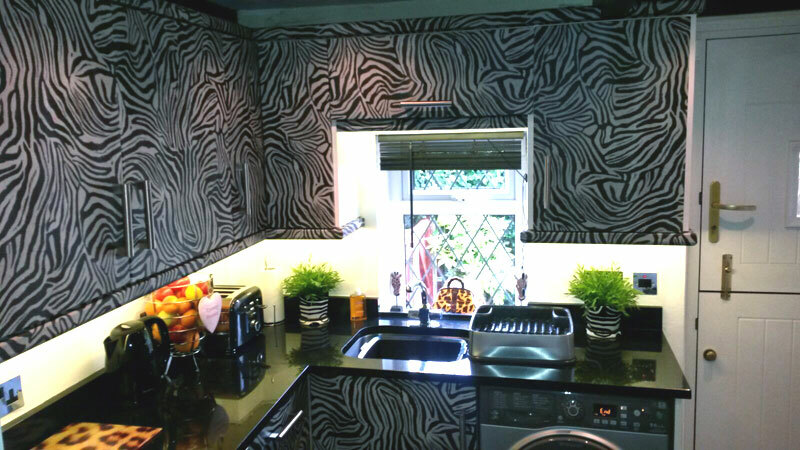 With a passion for jungle print’s and a love of zebras this Bolton based customer wanted an entire Zebra themed kitchen. Using existing base cabinets and doors, Arley Cabinet Company of Wigan have transformed the cupboard doors and end panels to achieve a look that exceeds the expectation of the customer. Arley Cabinet Company are renowned for bespoke cabinetry and doors, but we also have a knack for producing kitchens to a much more unusual specification. Contact Arley Cabinet Company today.